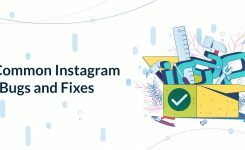 Today, we are going to give you some of the most useful and essential tips that are going to help you achieve this goal on Instagram. There is nothing wrong with dreaming big and every single successful person in this world once dreamed of the things they ended up accomplishing. The problem is when people expect great things to come quickly. For example, becoming an influencer is a very challenging goal. This is not to say that it’s impossible or doubtful to do this, but you need to work very hard to make it happen. If becoming an influencer was easy, it would have no value at all. Everyone would be an influencer, and the power and importance of becoming one would be gone entirely. Anyone can become an influencer if they are committed to the process. There are people who work 12-hour shifts every day of their lives and they never manage to achieve financial success. The same thing happens to people who want to become influencers. They can be working hard all day long trying to promote themselves, but they might be doing things wrong. This means that most of their hard work go down the drain. The process of working smart means that you have to understand what you are doing. You need to make each minute of work count, and you will see much better results. A minute of proper work beats days and even weeks of incorrect hard work. Don’t be one of those people who spend weeks and even months engaging their audience every day and then you take several weeks or even months off. You need to be consistent with your approach, and this is going to allow you to get much better results with your efforts. Avoid being out of the game for too long and try to be as consistent as possible. If you feel like you might be out for a few days, always let your audience know. This helps build a good relationship with your followers. Anything about you and your skills that makes you unique and different from the rest is always an important thing to capitalize on. This is very important because it gives you the chance to achieve much better results when you start engaging your audience. Remember that the first impression you give to someone is usually going to determine if they will end up following you and sharing your content with others. This is a crucial step in the process of gaining momentum to become an influencer. The one thing that influencers know how to do well is to document what they are doing. This means that you should be sharing exciting and fun things with people, but you should be sharing knowledge through experiences more than anything else in your content. This might not be good news to shy people, but we are sorry to say that being shy is one of the most damaging things that could ever happen to you as an influencer. You need to put yourself out there and you have to be ready to be goofy, to make mistakes, to say things that some people might not like, but most of all, you need to develop a thick skin for people who might be insulting or might try to put you on the spot. There are certain things that are a requirement for influencers. For example, you need a high-quality camera for both photos and video. You can’t expect to engage a large audience if you have low-quality images on display. This is always going to be a problem so make sure that you take the time to invest in quality equipment. This might seem expensive at first, but it will be worth it in the long run. A great way to get yourself known by a large audience is to start collaborating with other people regardless of their level of influence. This is going to help you expand your network and you will also be featured in the pages of those people that you are collaborating with. This means that their entire audience is going to have a chance to get to know about you. 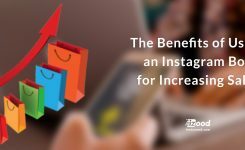 You need to consider the power of using a good Instagram bot and automation software in order to get more things done in less time. Just be careful not to use spam bots and spam software in general because this will get your account banned. 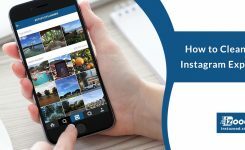 Only use software that is compliant with the terms of services that have been set by Instagram. This is one of those things that helps you work smart and not just work hard. Remember that being an influencer is something that comes with plenty of responsibilities. Keep yourself in check when you talk about any kind of topic and try to avoid anything controversial that might cause a large number of followers to unfollow you. This is one of the most important aspects of being an influencer. The process of becoming an influencer is definitely a hard one, and it requires a lot of work and commitment as mentioned earlier. The good news is that achieving the status of influencer will change your life completely. It gives way for many business opportunities that would not be possible with that influential power.